Fri., Feb. 17, 2017, 5:31 a.m.
OLYMPIA – Buying a semi-automatic assault weapon in Washington won’t require a special state license or a more extensive background check, although residents might be advised, but not required, to store their guns safely in their homes. 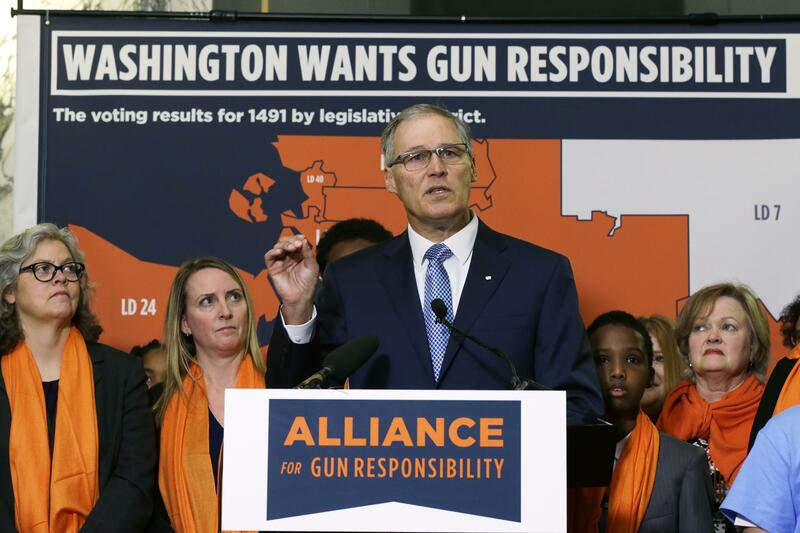 Despite calls from state officials and gun-control advocates for major changes in Washington’s gun laws as recently as two weeks ago, a key House committee on Thursday recommended incremental changes. Proposals to ban certain semi-automatic rifles, sometimes called military assault weapons, never got a hearing, but a bill to require licenses for people who own, buy or sell them was near the top of the House Judiciary Committee calendar Thursday. But it didn’t get a vote and is likely dead for the year. The bill’s sponsor, Rep. Laurie Jinkins, D-Tacoma, had prepared an amendment that would strip out all references to licenses for the guns or large capacity magazines, leaving only the requirements that anyone buying such a weapon go through the same background checks required for a handgun. That bill did pass, although it, too, was changed to be less sweeping that the original version. It no longer calls for criminal charges for a person whose unsecured firearms are stolen in a burglary and later used in a crime. Under a “middle ground” amendment approved by the committee, a person who leaves an unsecured firearm accessible to a child could be charged with reckless endangerment if that the child takes the gun and hurts or kills someone. Rep. Jay Rodne, R-Snoqualmie, said leaving a gun unsecured is not, by itself, a crime and the proposal could result in the state could be bringing charges against a grieving parent after a tragic gun accident. The Legislature was presented with a wide range of proposals on guns, both from those seeking more restrictions and those asserting stronger rights. Some were announced with fanfare, but faded in the process. Attorney General Bob Ferguson called for an outright ban on assault weapons last fall; proposals were introduced in both chambers but got committee hearings in neither. With Friday’s deadline coming up, they and other bills that didn’t get out of their initial committee are likely dead for the year. A similar fate befell proposals that would have waived background checks for gun purchases if the buyer had concealed pistol license; that would have allowed anyone with a pistol license in another state to carry a concealed pistol in Washington; would have allowed a seller to waive the background check to anyone with a valid law enforcement commission card also did not get a hearing. Committees in both houses have also approved a requirement that the Department of Licensing must send renewal notices to concealed pistol license holders 90 days before they expire. Such notices are common for other licenses the state requires, but because these are issued by local law enforcement, the department wasn’t tracking expirations. Published: Feb. 17, 2017, 5:31 a.m.